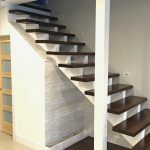 Thick stair treads are the best option for floating stairs. 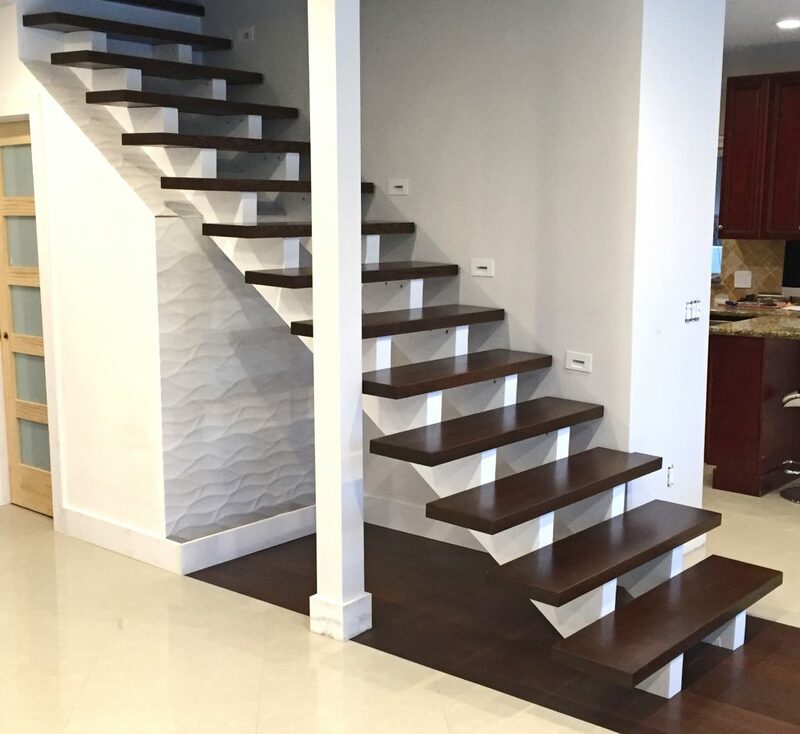 This customer selected our 8067 treads with no return for his interior staircase. These treads are 2″ thick, and crafted from red oak. We then stained them with our LV-0027 stain. This stain enhanced the treads by giving them a dark, rich tone. We have a large variety of wood stair treads. In addition, we have excellent stain and stain matching capabilities. If you have any questions about our treads, stains, or stain matching procedures, feel free to give us a call at 1-866-226-6536. 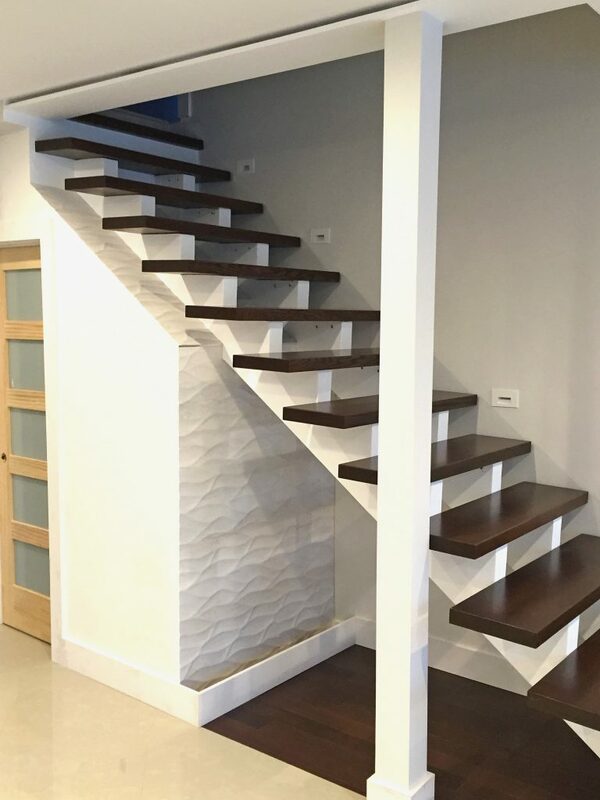 We would love to help create your dream stair design.